Kids, parents seen at last year’s festive event in La Mirada. City of La Mirada Photo for Hews Media Group-Community Newspaper. Be on the lookout for Peter Cotton Tail, who will be running around Norwalk and La Mirada this Easter season. Both the City of Norwalk and City of La Mirada will be holding special events to celebrate the annual Rite of Passage. The City of Norwalk’s Recreation and Park Services Department will be holding an Egg-stravagant egg hunt on Saturday April 19th, 2014 between 12:00-3:30pm. It will be located at the Norwalk Civic Center Lawn, 12700 Norwalk Boulevard. This event is one of the most popular family oriented events held each year. There will entertainment, games and crafts. 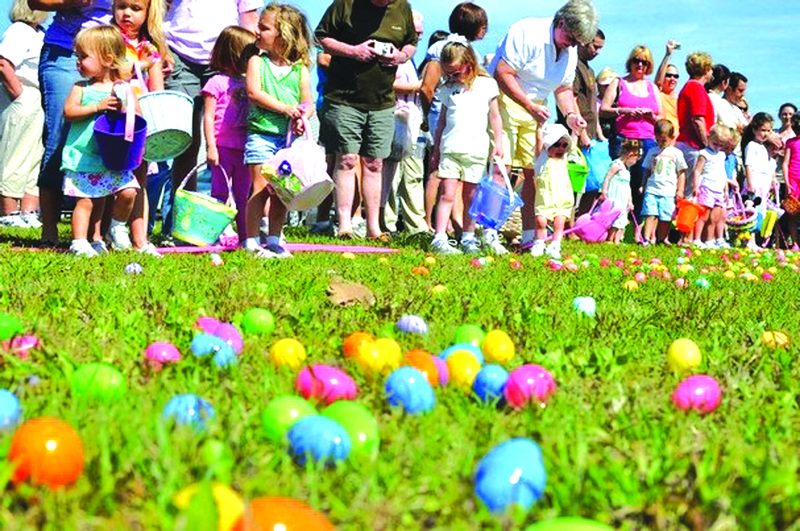 The egg hunts will be split into different age groups. Tony Tot (Ages 18 Months-3 years) will begin at 12:30pm, Funny Bunnies (Ages 4-5) will begin at 1:00pm, Egg Heads (Ages 6-7) will begin at 1:30pm and Wacky Wabbits (Ages 8-10) will begin at 2:00pm. The City would like community members to be on the look out for their Egg-normous Easter Eggs which are currently hidden around town. If you find an egg, bring it with you to the Information Booth at Norwalk’s Egg Hunt. City officials want participants to arrive early to the event due to the large anticipated attendance. The City of Norwalk is in need of Volunteers for the event. If you would like to participate please call (562) 929-5702. The City’s annual Easter Egg Hunt will be held on Saturday, April 19, from 9 to 11 a.m., at La Mirada Regional Park. Bring your family and enjoy games, crafts, music, bounce house, a petting zoo, and an Easter Egg Hunt. Special photos with the Easter Bunny will be available for a nominal fee. The Easter Egg Hunt for children ages 10 and under will begin promptly at 10:15 a.m. Hunt areas will be separated by age groups. Participants should arrive at their age-specific Egg Hunt area 15 minutes prior to the event. Children and parents can enjoy a pancake breakfast at the Easter Egg Hunt hosted by the La Mirada Kiwanis for a nominal fee. The Kiwanis Duck Derby will be held at Splash! following the event. For more information, call (562) 943-7277.